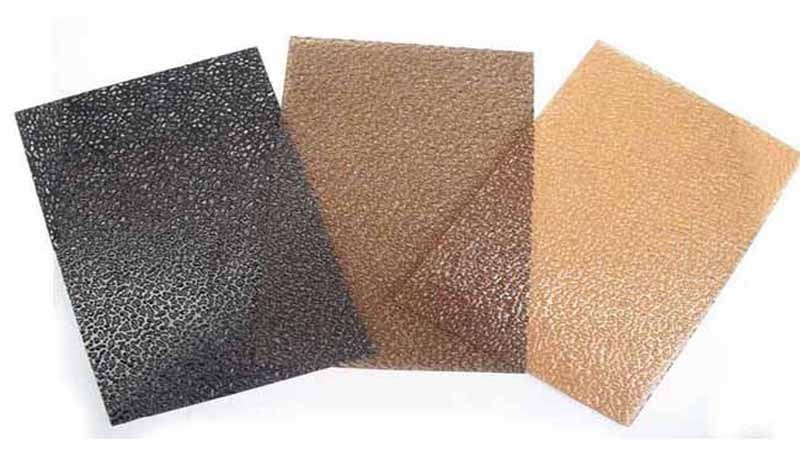 With high impact strength Polycarbonate embossed sheet may provide UV protection on one side or both sides, widely used to constructions and decorations. Polycarbonates embossed sheet with the thickness of below 6mm, can be cold bending, the smallest bending radius is 150 times than the sheet thickness. Above 6mm thickness, the sheets need hotly curved Polycarbonates embossed sheet come paint and corrugated roofing profiles, corrugated sheet’s high light transmission and unlimited range of profiles like CGI (sinus), Greca, Tata Jindal, Bhushan, National, Hindalco, any other all brand. Allow it to integrate as a high quality roof light into any roofing profile. Skylight polycarbonate corrugated sheet is also available in a wide variety of colours. Note : All above are regular, we make offer according to requirement.